Plantswoman is taking a break for the balance of the year. In January, I will publish on the first Wednesday of every month during the year 2019. The following post was from November 2016. Good soil is alive, a small pail of soil has more microscopic organisms than there are people on earth. 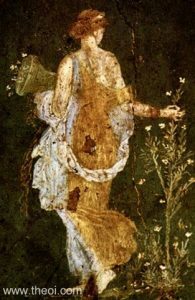 http://www.sustainable-gardening.com/inputs-tools/soil-fertilizers/great-soil For the gardener the most magical of these tiny organisms is mycelium—fungus. 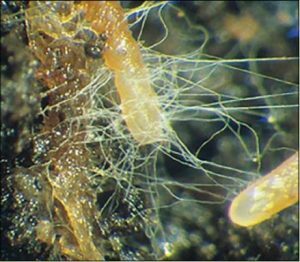 Fungal mycellium is a web. It is called “the neurological network of nature”. It is believed that behaves like a “sentient membrane” channeling information about nutrients and disease across a garden, across a prairie, across miles of forestland. Mycelium Running: How Mushrooms Can Help Save the World by Paul Stamets. I’ll say it again and again, it is clear humans do not have a corner on the sentience market. Stamets’ book is a rocking good read, and in addition to his theories on the communication skills of underground mycellium, the book contains a thorough description of the many forms of fungus that appear above ground: mushrooms, the poisonous, the hallucinogenic, the edible. Two things are necessary to encourage mycellium in the garden where it protects plants from disease and helps them take up nutrients. The first is a practice of no-till gardening, the second is adding as much organic matter to the garden as you can get your hands on. I have dutifully planted my garden to avoid disturbing the mycelium. But gardening is not all smooth sailing. I recently planted garlic in a 4×8 foot raised bed making small holes for each clove. 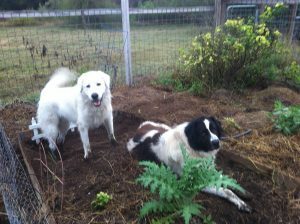 My guardian dogs, given access to the garden for the benefits of their predator scent, have now converted this little area to a kind of dog lounge with their big paws, digging as deep as a foot within the cedar planks that surround the “garden” bed. I explained to the dogs that they had torn up my mycelium that helps decompose organic matter; that the mycelium improves soil structure and has a symbiotic relationship with plant roots, called mycorrhizae. I went on to tell them that many kinds of plants require mycorrhizae in order to absorb the nutrients they need for healthy growth. These relationships between fungi and plant roots have developed over MILLIONS of years. The dogs were indifferent to all this science and very proud of their new doggie lounge. Setbacks aside (the dear dogs are up all night these days driving away foxes, coyotes, cats, raccoons, skunks and heaven knows what else; all born in the spring and present now in my little canyon in great numbers), it is the time of year to add organic matter to the garden so it can decompose over the winter. This can also be called ‘making compost’. I layer the summer waste: melon vines, tomato greenery and grapevine leaves with manure, hay and soil from the stock pen. This creates a little mound about 2 feet tall and 3 feet across. Next September, I’ll rake it out and have a lovely planting space for my winter garden. Composting always sounds complicated, huge piles, turned by a tractor, measured by a giant thermometer. Or it is expensive when purchased at soil suppliers or nurseries. But it can just be making a layer cake of what’s on hand and being patient. The mycelium love my little garden layer cakes of organic materials. I can tell since small mushrooms tell me so by sprouting up all over the place. I don’t like fire ants. Really, I hate them and I try not to hate things. They are impossible to eradicate. They tolerate extreme cold and when flooding occurs, they create a raft with the queen in the center as pictured above. Houston residents are plagued now by scores of these floating rafts in the floodwaters there following the hurricane. When I walk or stand near their nest, many of them will crawl onto my foot and, then get on their little IPhones and all bite me at the same time. Actually, I have recently learned that they do not communicate through electronics; they communicate through chemistry. Wilson was not satisfied with finding this chemical compound; he wanted to obtain enough of it to make a molecular analysis. Pictured here, he looks like such a nice man–not crazy at all. 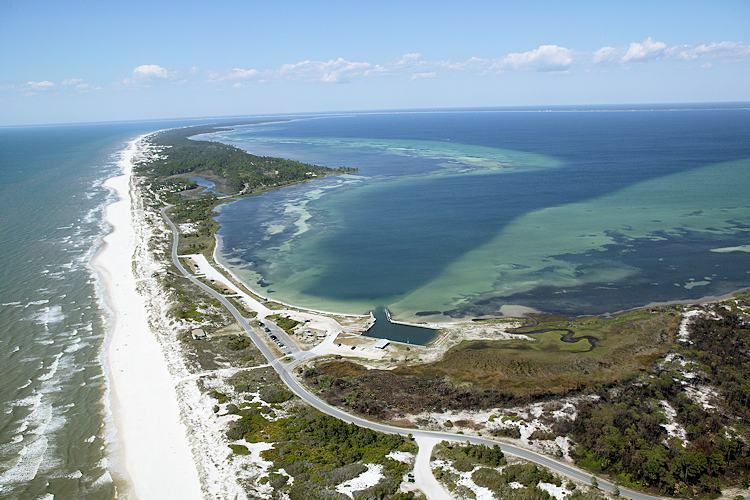 But he enlisted two scientist friends and they traveled to Jacksonville where fire ants live in huge mounds. 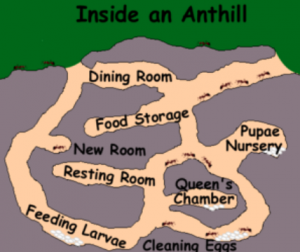 They shoveled the ants into large containers to take back to the lab. 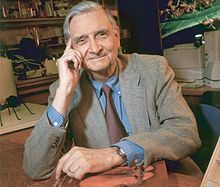 Wilson quips that his helpers were glad to get out of the field and back to the lab since the ants did not suffer being shoveled lightly and covered the scientists with painful bites that form itchy white pustules within a few days. Highly aggressive fire ants came to us from South America and are considered an invasive species. When they arrive they push out most native species and create huge underground homes. 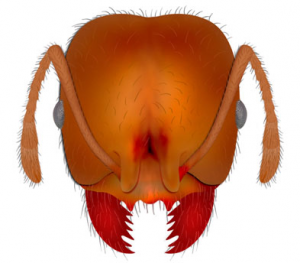 Getting rid of fire ants? Impossible. I have had friends recommend diatomaceous earth, coffee grounds, vinegar, hot water and chemicals like Amdro. I am currently using, with some success, Spinosad, an organic soil additive. For all our talk, talk, talk the ants seem to stay ahead of us–they always come back. Wilson and other scientists believe that on balance, ants are a positive force in nature as compared to humans. Wilson imagines a world without ants as a world in trouble; and a world without humans as a world back in balance. Ant lovers all seem to be hard on humans. As a child I was taught humans were superior because we are the only being with an opposable thumb. This has been now found to be untrue. Then I ‘learned’ we were the only being to use tools. Also untrue. And one of the most treasured human attributes, our ability to communicate now seems to be shared. Ants are reported to be able to order the removal of a dead ant body from the hive; to worry that the queen is not doing well and start hatching a new queen; and apparently, to advise the nest that a couple of hundred ants should be sent to the dog dishes of the Plantswoman if her dogs do not promptly finish their dinner. Of course, I am providing English translations to the perfume language. I also have been taught that humans are the only creature that displays emotion. But I invite any of you– any day, any time– to join me and we will hit an ant hill with a long stick. 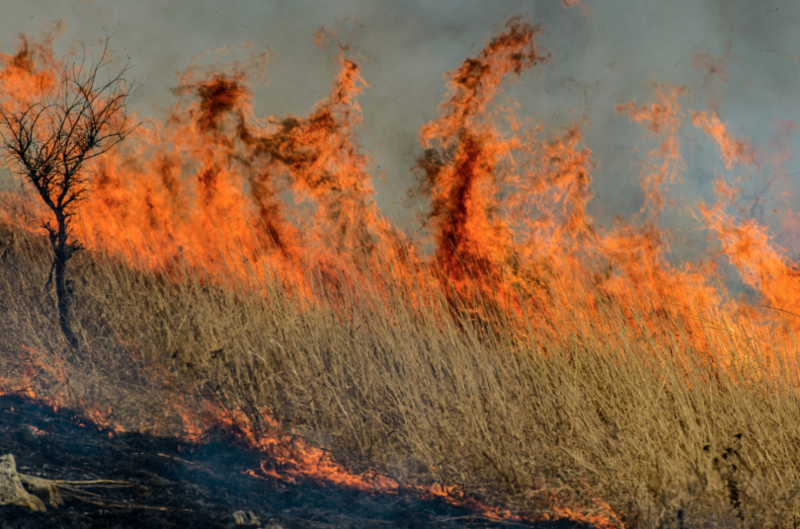 The fire ants will boil out of the ground in a rage–their anger almost makes the ground shake. 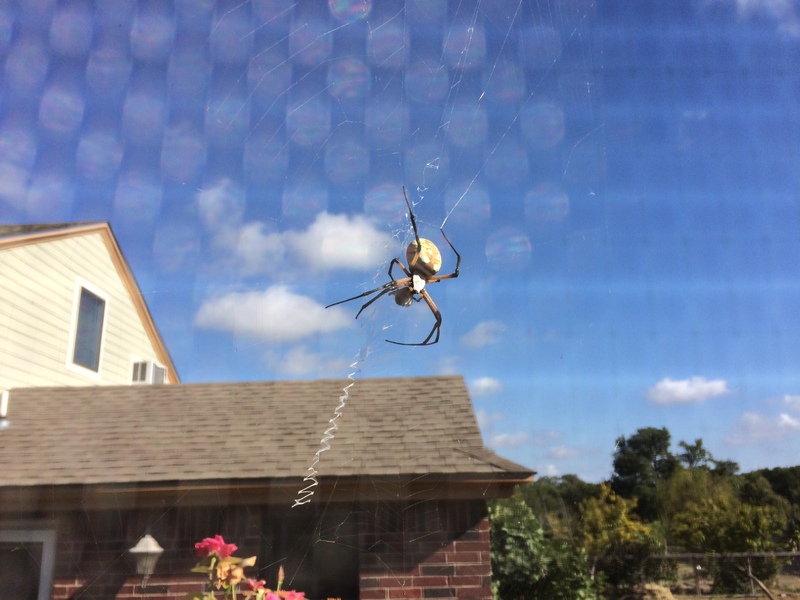 This large spider is currently hanging just outside my screen porch. She is huge, her body perhaps an inch in width; her legs, each two inches long. She has a sac of baby spider eggs beside her that she appears to be watching over. Yikes. 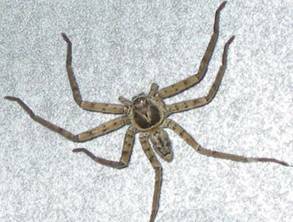 I have stared inconclusively at the Texas spiders listed on the wonderful website Spider ID . My best guess is that the spider might be Larinioides cornutus, the Furrow Orb-Weaver. Happy picture of an Orb-Weaver wrapping up a queen ant for her dinner. The coloring is about right and the time of year is right. I dunno. The natural world is so complex, we can just barely get our minds around small parts of it. When she appeared, spiders had been on my mind. We have been warned lately to watch out for poisonous snakes and spiders. 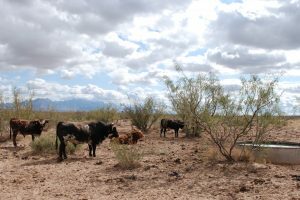 The extremely dry and hot August weather has forced them out of the dark places where they live — to search for food and water. Death is extremely rare from spider bites, so I am trying not to kill every spider I see. Only two kinds of spiders can make us very sick and in rare instances kill us: the Widows (Southern, Northern, Western, Black and Brown) and the Brown Recluses. Other spiders, like bees, can create a sting that may be complicated occasionally by an allergy. 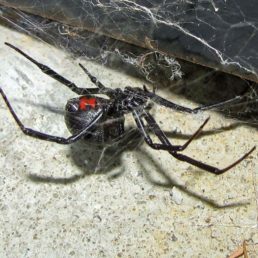 The Black Widow is horrible with a red hourglass on her stomach. Equally creepy is the Brown Recluse. It has six eyes that sit in three pairs on the spider’s back in the pattern of a violin. 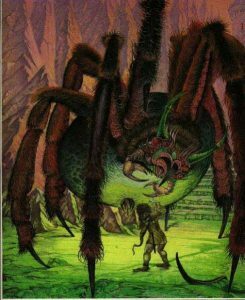 As a child, I loved E.B.White’s, Charlotte’s Web and I have a life-long prejudice in f avor of spiders, especially literate ones who write in spun silk and save pigs. Anyone who hates spiders should read this book; it might take a couple of hours, but they would be saved from a form of human silliness. Spiders eat roaches, earwigs, flies, moths and mosquitoes. And aphids. Also fleas; fleas that have spread typhus and the bubonic plague. 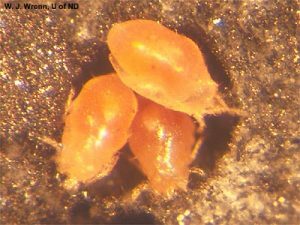 They are beneficials. Not that rational thought informs our prejudices: bubonic plague or no, in European literature, spiders have not fared well. For example, spiders eat Hobbits. Well, the giant spider Shelob tried to do so. But since Sam killed Shelob, that spider problem is quite dead. In Ancient Chinese culture the spider was called “ximu”, that translates to happy insect. If a spider dropped down from the ceiling, it was deemed very lucky–as though the spider had dropped from heaven. Many Southwestern Native American cultures embrace a Spider Woman as a powerful helper and teacher; the Hopi creation story includes a Spider Grandmother weaving her webs. Goddesses in Sumeria and Ancient Egypt feature spider forms spinning webs. An African folk hero, Anansi, takes the shape of a spider and is the spirit of all knowledge. David, chased by King Saul hides in a cave and a spider spins a web over the opening, saving David. But no matter how positively worldwide cultures see the spider, there is a creep factor. Even for me. I understand Ron Weasley completely when he says, “Why spiders? Why couldn’t it be ‘follow the butterflies? '” Harry Potter and the Chamber of Secrets by J.K. Rowling. 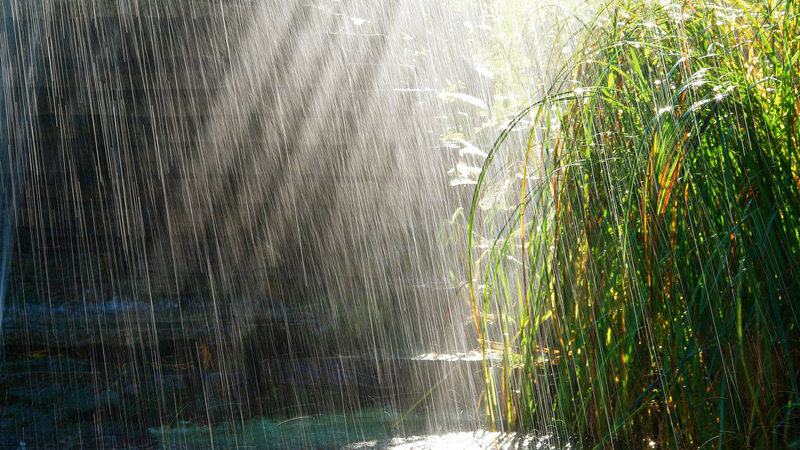 It has rained hard for two days: sheets of water poured from the roof. The gossamer web of my big spider remains just beyond the porch screen, not only entirely intact, but still beautiful. The faithful mother clings right beside her eggs, her vigil entirely uninterrupted by the thunder, the lightening — the deluge. The natural world is beyond us. We are obviously over our heads when we wring our hands and prefer butterflies to spiders. It’s time to think about our hummingbird friends. 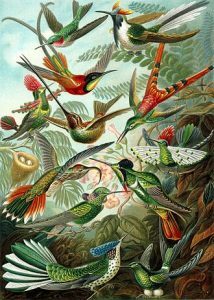 There are a dazzling array of hummingbirds, around 300 species. Only a small number of these species live in North America and many will start out soon on their long migration south to Mexico, the Caribbean and Central America. Weighing far less than an ounce, some of these little birds take a land route through Texas. The ruby-throated hummingbird cuts across the Gulf of Mexico flying 500 miles non-stop for 20 hours. An Alaskan bird travels 4000 miles down the California coast. So now is the time put out extra feeders and increase the strength of the sugar water provided from 4-to-1 to 3-to-1. The birds who live with me all summer now fatten themselves and increase their weight significantly to withstand the rigors of their fall migration. Also, as hummingbirds from the North fly through, they will need food during their trip. The problem is that the hot dry conditions of late August have reduced the food and water supply for everybody. My feeders are plagued by ants and bees. I poured hundreds of ants into the sink when I washed out my feeder a couple of weeks ago. I watched one of my hummingbirds try to co pe with dozens of bees at a feeder and simply give up since the hungry and thirsty bees were relentless. Other insects also compete for the sugar water: moths, hornets, spiders, praying mantises, and earwigs. 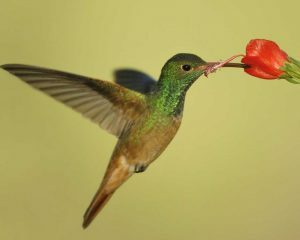 Fortunately, there are hummingbird feeders that position the nectar deeply enough to allow the hummingbird’s long beak to feed, but not other insects. These feeders help but do not solve the problem. 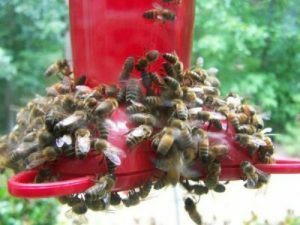 I have learned recently that moving the feeders often and moving them into shade cuts down on bees. I am a little surprised that my clever bees are slower to find the relocated feeders than the hummingbirds. I am also advised that bees and wasps like the color yellow. It is amazing how many hummingbird feeders have a touch of yellow decoration; I have one in the vegetable garden that I will replace or perhaps just take down in August when insects are out in force. I have been trapping ants using a very sticky application called Tanglefoot. I wrap t he bottom of the iron stake where my feeder hangs with cling wrap and paint on the Tanglefoot that forms a barrier to ant invasions. Of course the wretched ants number in the millions so the Tanglefoot has to be reapplied once a week. 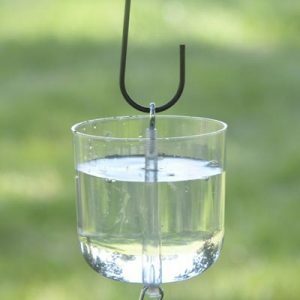 There are also ant traps that hang above the feeder. 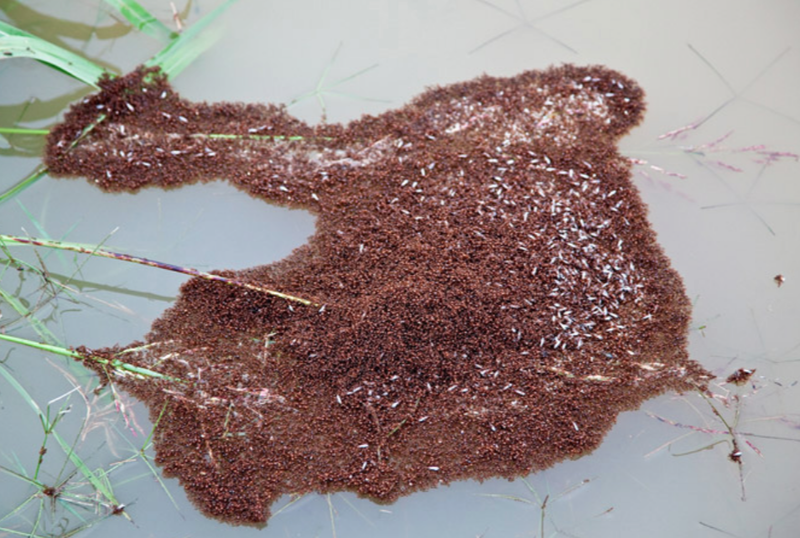 Filled with plain water, these act as a moat that forces ants to face drowning to get to the sugar water. I happily have not had any attacks by yellow jackets, hornets or wasps. Apparently one might just leave them to a feeder they have invaded, and put up another feeder for the birds. Or– and I cannot imagine doing this– one can put a bit of hamburger soaked in apple juice on a plate to attract these carnivorous insects. I suppose all this illustrates how much trouble hummingbird lovers will go to in order to help out these tiny birds. They are one of my summer’s greatest pleasures. And I enjoy helping them fatten up for their long trip south. I would be miserable if asked to ride in a comfortable car for 20 hours non-stop. So I will do what I can for these brave travelers. Last week I described the help that wildflowers can provide to farmers and gardeners. There are also long-time domesticated flowers that I would like to believe share a connection with humans–flowers that lend their chemical br illiance to us. I would love to think, the Dahlia, for example, would use it’s nematode destroying abilities to assist me in my endless struggle to grow nematode-free potatoes. But I imagine the Dahlia is serving its own interests as are all other flowers; if they had any thought for my human well being, they would certainly do something about the wretched fire ants for me. The Dahlia is not native to the United States. Plants native to the United States tend to flower very modestly. 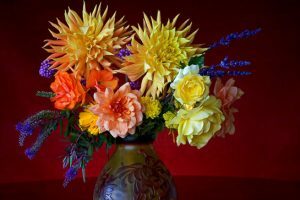 The Dahlia flowers luxuriously. Gardeners who devote themselves to using exclusively native plants might consider it a little vulgar. But it grows from a tuber and that tuber is an anathema to nematodes. So I grow it. The Dahlia, like the flowers called Four O’Clocks, are native to Peru. Both plants were brought to Europe in the 17th century and used as ornamentals there for a hundred years before arriving here. Four O’Clocks attract and then poison Japanese beetles. So even though it can spread all over a garden and even though they are poisonous, I love them. I love any plant that can kill a Japanese beetle. The ubiquitous Petunia was also ‘discovered’ by European explorers in South America, which seems to be the birthplace, not only of beautiful plants, but plants that repel insects. The Petunia is described as nature’s pesticide. link It repels aphids, tomato hornworms, asparagus beetles, leafhoppers and squash bugs. Petunias won’t grow in my soil, but I plan to put them in pots in the vegetable garden next year. Another plant I will put in the vegetable garden next year is the chrysanthemum, which repels roaches, ants, Japanese beetles, ticks, silverfish, lice, fleas, bedbugs, spider mites, harlequin bugs and root-knot nematodes. Originating in Asia, chrysanthemums were written about lovingly by the Japanese as early as the 7th Century. The only thing I hold against the plant is that it is boring–it’s everywhere for months in the fall. And pyrethrum, commonly used in many insecticidal sprays, is derived from chrysanthemums. 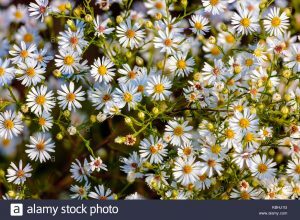 Pyrethrum is bad for all mammals and toxic to bees. I never use it. But I will plant chrysanthemums in the vegetable garden this fall, I just won’t eat them. 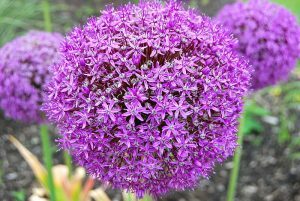 Another family of plants from Asia, considered to be a broad-spectrum natural insecticide, is the Allium. link I tried a planting of the giant allium last year without success. Like their cousin garlic, they repel slugs, aphids, carrot flies and cabbage worms. I’ll try them again this year. 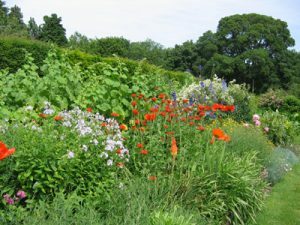 My vegetable garden may begin to resemble the famous English ‘border’ garden made popular by the legendary English gardener, Gertrude Jekyll. 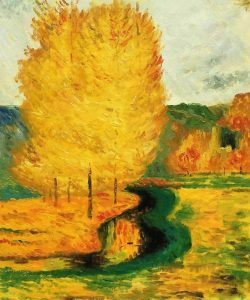 She was an artist and her borders were her palette, shifting seamlessly from one season to another. She smashed the idea that plants should appear in neat rows or in geometric beds. Gardeners have been trying to emulate her plantings for over a hundred years. It’s hard to do. In the end a proper Jekyll garden looks natural, unstudied; it looks wild. As I said last week, writing about wildflowers, I am tired of spraying my vegetables. And I will see if my flower friends can help. It’s an act of trust since I’ll be giving up a lot of vegetable ground to flowers. To fight my enemies. Miss Jekyll was no stranger to pests in her gardens. Her marvelous books describe her battles, but in Miss Jekyll’s hands, “how to” sound like poetry. 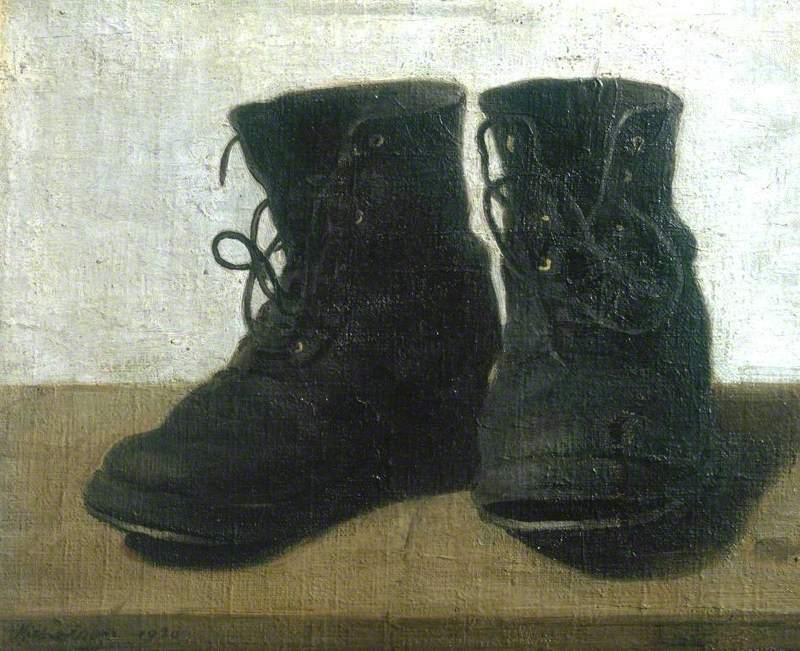 A painting by William Nicholson of her boots appears above. She would have had no trouble at all with fire ants biting her feet. It is fortunate that recent research is showing that wildflowers can help us in our struggles against pests in our farms and gardens. 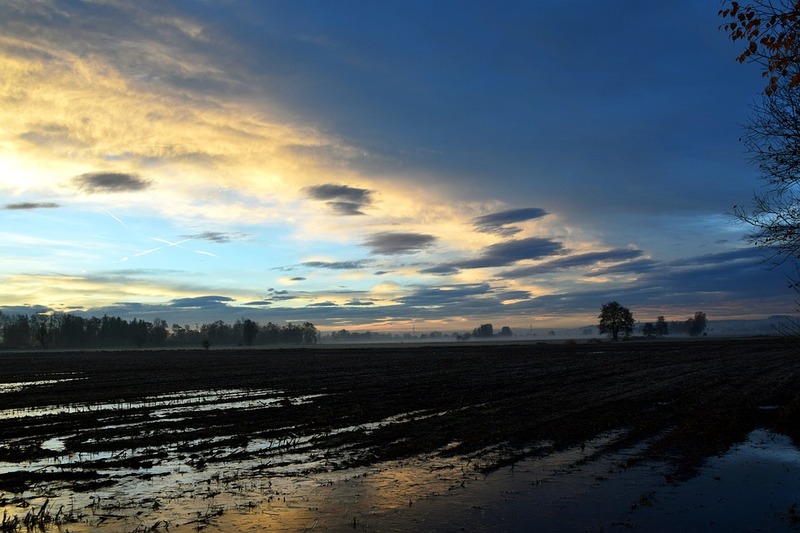 Richard Pywell of England’s Centre for Ecology and Hydrology (CEH) is conducting a field study using strips of wildflowers in farm fields to cut down on or eliminate the use of pesticides. link Pywell is using oxeye daisy, red clover, common knapweed and wild carrot in England and a similar study in Switzerland uses cornflowers, coriander, buckwheat, poppy and dill. 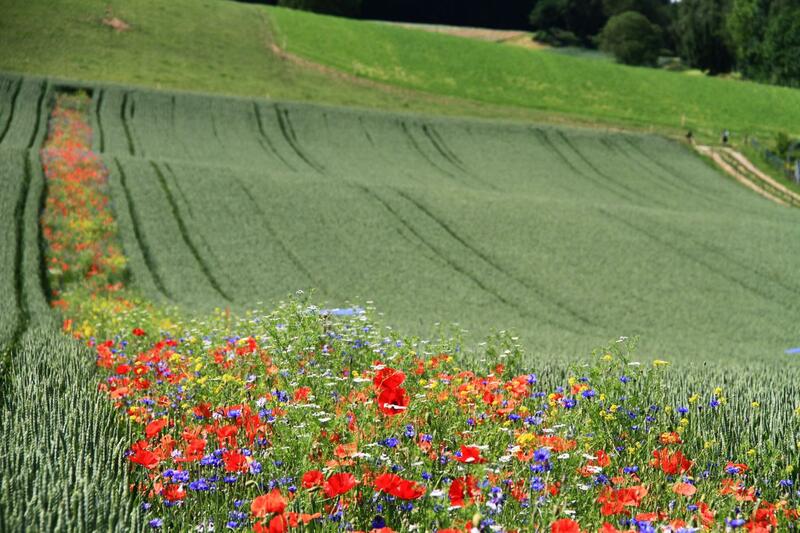 Researchers in France found that the use of wildflowers helped the majority of farms cut pesticide use by 42 percent without harming productivity. Wildflowers are the tough guys of the floral plant world, They have spent around 130 million years developing their well known abilities to attract beneficial insects such as lacewings, ladybugs, hover flies and parasitic wasps. They don’t need to be sprayed or ‘cultivated’ and ward off chewing insects, nematodes and fungus. They don’t need to be fenced since they are not palatable to deer and other grazing animals; some are extremely poisonous. It would be a happy thing if we could use them right in the middle of our farms, gardens and flower beds. Now is the time to decide which wildflowers might help me so I have been studying the offerings of wildflower seed merchants. I think I will sprinkle strips of wildflower seed between my fall plantings of broccoli, cauliflower, brussel sprouts and cabbage. Then perhaps these flowers will be ready to help out with the spring and summer gardens in 2019. The question is which flowers. Wild lupine self-seeded in my garden a few years ago and it is beautiful. Three feet tall and graceful, blooming in pink, purple and white, it took over the entire garden in about two years. Bees, butterflies and dragonflies hovered over the garden that looked like paradise for months. There was, however, no room for vegetables; and since it was poisonous and not a substitute for my edible plants, I spent two years pulling it up in great handfuls. I am currently embattled with Mexican Hat in my pastures. It is virulent. Deer only eat it when they are starving. It crowds out everything edible for my stock. 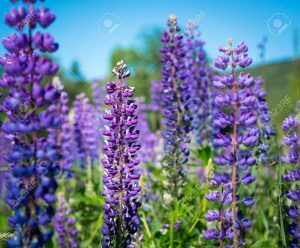 It is beautiful, like Lupine, and wildflower merchants extol them both–and charge for their purchase. The point is to be careful in picking out what wildflowers to buy; it’s comparable, broadly, to the TV shows where a woman gets picked up in a bar by a cute guy who turns out to be a serial killer. The wildflower merchants also tout lists of flowers for the Northeast, Southeast, Northwest, Southwest and Central U.S. With a few exceptions, the list is the same throughout the country–which speaks to the extreme hardihood of the wildflower. Wild sunflowers, Maxmillian sunflowers, bee balm, coreopsis, columbine, coneflowers, milkweed, goldenrod, heath asters, asters, Indian paintbrush, Indian blanket, coneflowers, cardinal flowers, black-eyed Susans, milkweed, Mexican hat, giant ironweed, vervain, geum, evening primrose, liatris and leadplant grow where they please and most of the country pleases them. I consider many of these to be flower-garden plants: coreopsis, bee balm, columbine, coneflowers, wild sunflowers, black-eyed Susan, geum and the heath aster are all beautiful in a flower garden. All are sold in plant nurseries as flowering plants. I love all of them and will include them in my protective strips. Bee balm is considered the best plant to put in with tomatoes. It only lasts one season in my garden but, in my imagination, should look good in the tomato patch. Coneflowers have not thrived for me; maybe they will like the rich soil in the vegetable garden. Wild sunflowers planted themselves in my vegetable garden this year and I left them; partly for the shade they provided and aphids love them. The sunflowers, however, show no damage when aphids swarm on them. They do have huge stalks that are very hard to remove.The heath aster has seeded itself with me and choked out even Maxmillian sunflowers. It is covered in bees every fall. Covered with bees. I love it. I think we are experimenters. Insect-killing chemicals kill indiscriminately. Even the organic products I use are expensive and have to be applied at least every other day in the height of the season. We need alternatives. Wildflowers. It might work. When the Spanish Conquistadors found the Aztecs cultivating tomatoes in the city of Tenochitlan (now Mexico City), they did not see the round red ones we buy today in our supermarkets. 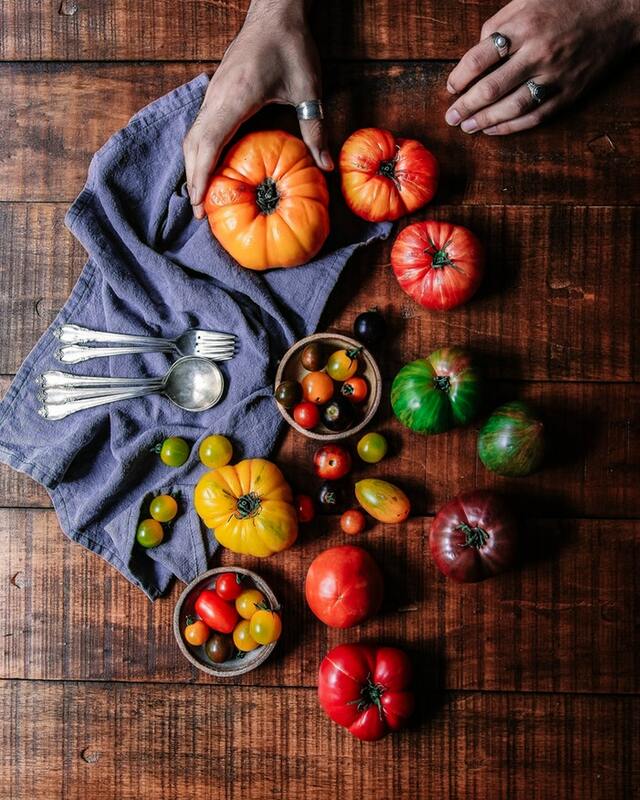 Tomatoes had grown wild and been enjoyed in the Americas for a thousand years: yellow, orange, pink, purple, green, black, white, mottled, striped and of every shape and size you might imagine. Many of these colorful and unusual tomatoes were entered in a tasting contest at my local Farmer’s Market last month and were truly delicious. But I have not had great results from my attempts to grow ‘heirloom’ tomatoes. My 2017 tomato crop was really dismal so I opted for hybrids this year: tried and true red slicers, Romas and cherry tomatoes. Taking the excellent advice of a fine tomato grower and friend, I planted three plants in mid March. The theory is that, IF there is not a late frost, my tomato crop would be well on its way before the hot weather hit and slowed production. There was a hard frost a week later. I put in three more plants but a hard frost the first week of April killed those as well. Gambling. Gambling with weather. A sucker’s game. Nothing looks worse than a tomato plant killed by frost, blackened leaves, hanging like a rag bag. Sad. Nevertheless, I put in my remaining six plants the second week of April and have had a good year. Tomatoes have always been associated with crazy. 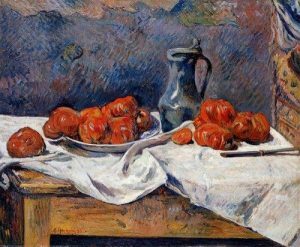 Embraced early in Southern Europe tomatoes were called a ‘love apple’ in France where they were imagined to be an aphrodisiac. The Italians were an exception to this ‘crazy’ and, in the 16th century, they quickly added tomatoes to the oil, garlic and herb toppings they used on their flatbread–creating an early form of what we call pizza. 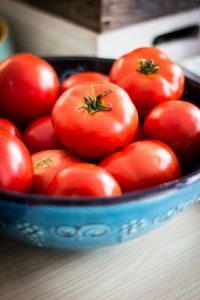 Northern Europeans believed the tomato to be poisonous for years. This is not really entirely crazy since all parts of the tomato plant, with the exception of the ripe fruit, is poisonous. The tomato evolved from the prehistoric plant Nightshade millions of years ago in South America. The nightshades are quite a family; including the potato, eggplant, tobacco and chili peppers. 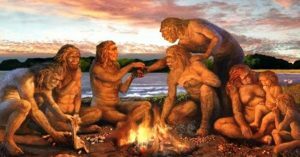 One has to admire the early humans who were hungry enough to sort out which parts of which plants were ‘safe.’ Attempts to make tea from tomato leaves led to some reports of death and the toxins tomatine and atropine appear in small quantities in unripe tomato fruit. I may rethink my affection for fried green tomatoes. Weirdness seems to follow the tomato. It was classified as a fruit until late in the 19th century to avoid taxation, which makes one think the tomato lobby must have had considerable power. In a bizarre little twist, the Supreme Court stepped in and declared the tomato a vegetable. And what could be weirder than the transformation of a soft, flavorful food into one that that is currently picked when it’s almost green, then boxed and transported thousands of miles, then placed into an ethylene air bath to turn it red for sale in our supermarkets. Our love affair with tomatoes has not been slowed by the its questionable quality in our marketplaces. It is the state vegetable of New Jersey and Arkansas, the state fruit of Ohio. I don’t think I ever ate a salad as a child that did not contain tomatoes. I have started tomato seedlings for a fall planting this year. This is an act of love since the chances of producing a tomato before frost are marginal. But my tomato gardening friends insist the pleasure of a home grown tomato in November is worth the risk of a few seeds. And I think I will gamble next spring and grow a green striped tomato. Risk. Reward.